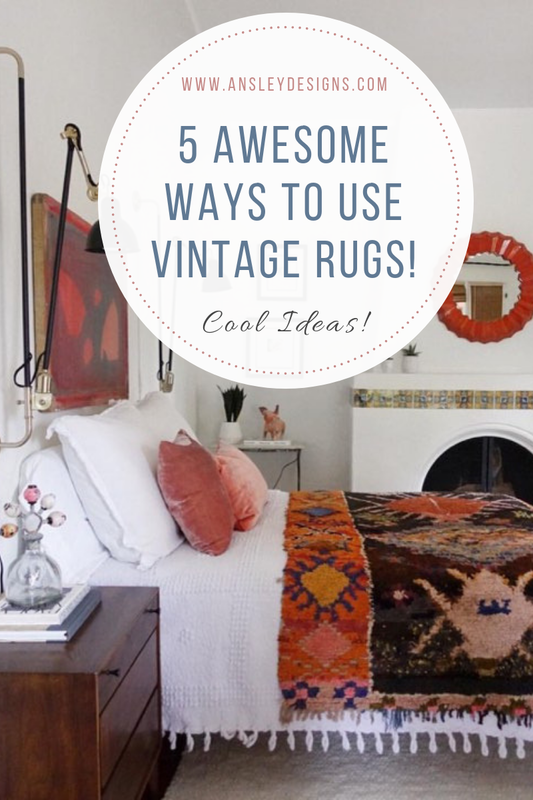 Ansley Designs: 5 Awesome Ways to Use Vintage Rugs! 5 Awesome Ways to Use Vintage Rugs! I really, really love rugs. Just ask my sister...lol. I've lived in this house about 2 years, and I've had 13 different rugs! Thankfully, I think I've settled on the keepers..for now. I love when items aren't used for their intended purpose! Assuming it's a cool idea, and it looks amazing! 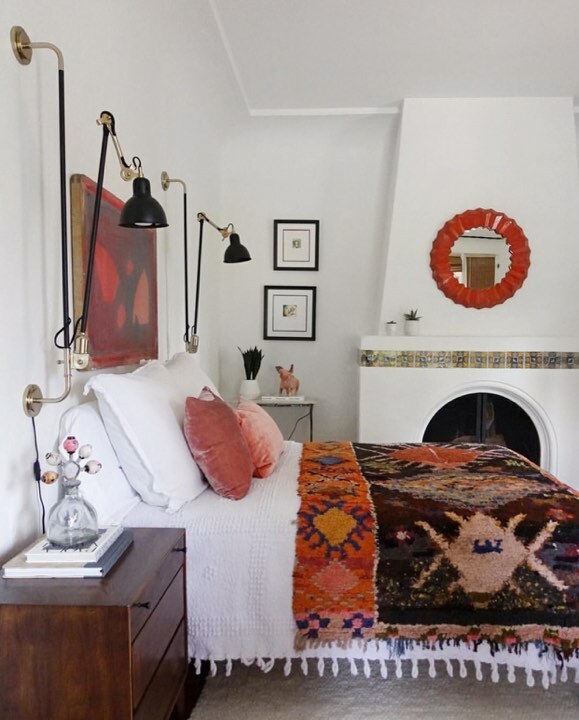 Well, that's definitely the case with these FIVE awesome rug ideas! Yes, that sounds odd, but MsViciousDesign blew my mind when she draped this vintage Persian rug over her TV! You can see it way in the background! Tvs are a huge eyesore, but a necessary evil for most people. This is a genius way to camouflage the big, black box! 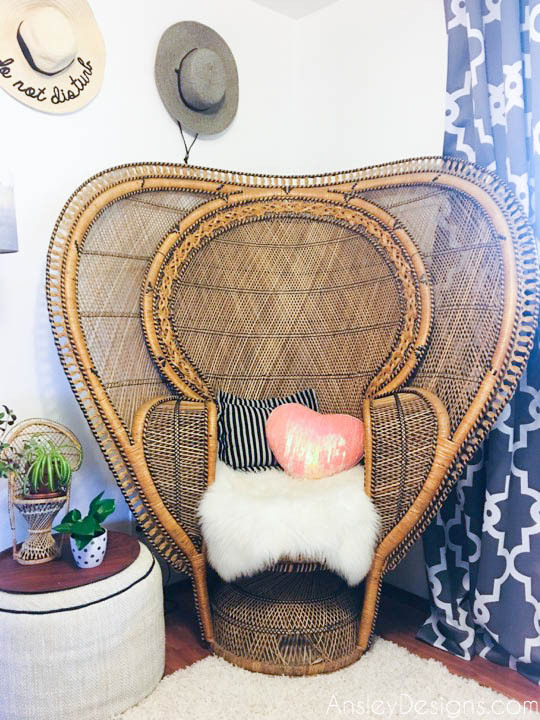 MsViciousDesign revealed that she got the idea from 9Vintage_Girl_Interiors. Here's her version below! I love them both so much! Coolest idea, ever! I've been on the search for a rug that will work on my tv ever since seeing these! Woven tapestries and macrame are so in right now! However, vintage and handmade ones cost a pretty penny! Seriously, get an affordable rug and hang that baby up on a wall! 3. 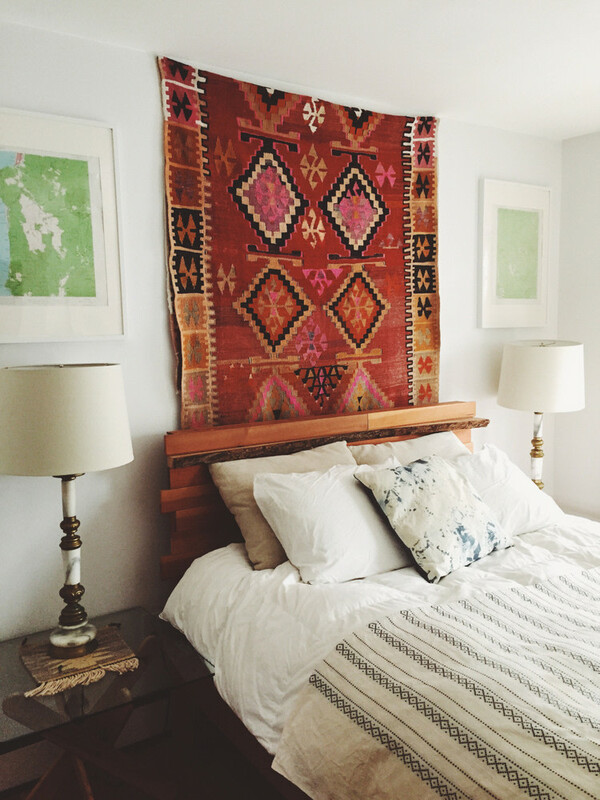 Rugs Make Awesome Headboards! You're basically hanging it on the wall above your bed. However, if you have a headboard, it's even easier to simply drape it over that!! 4. The end of a bed. I really love this idea from Sharlene @skaynedesigns! Not only is her home design amazing..but she also creates hand torn paper art collages. Her art is super cool and unique! Can you believe she created all of these detailed portraits by tearing up tiny bits of colored paper? She even sources the paper from cool places like Japan and Mexico! 5. Use it as a seat cover! My peacock chair actually has a pretty comfy cushion on it. The lady I bought it from said she had it custom made...in the 80s. So, it is really dingy and ugly.. I use this cute faux sheepskin rug folded in half to drape over the seat for some crisp, white, perfection! 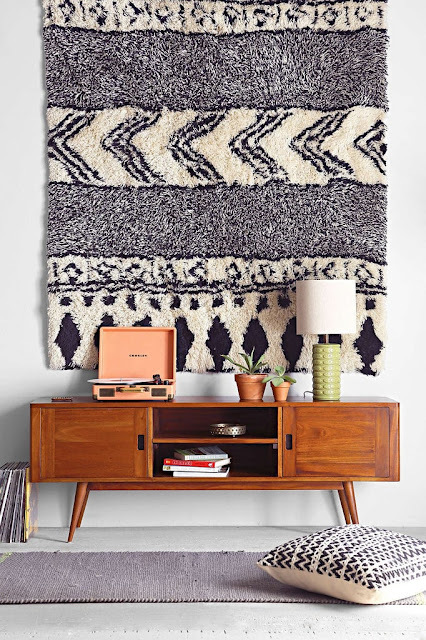 Hopefully, y'all got a cool idea or two for your rugs! Which of these rug ideas are your favorite? Will you be using any of them to give your home a unique look?